When I was growing up, we had a family friend who lived in a nursing home. On at least one Sunday every month, we would drive an hour to go visit him. The rooms at the nursing home were small to begin with but felt even more crowded once my large family squeezed inside. We often had to arrange ourselves around a large contraption that was used to lift our friend from his bed to his wheel chair. A curtain divided the room in two, and our presence sometimes annoyed the resident "next door." The only personal thing I can remember about the room was a bulletin board where our friend could thumb tack up birthday cards or newspaper articles. Walking through the halls, past the other residents, made me so uncomfortable. They looked bored and lonely and often unkempt. The smell that assailed my nose every time I walked through the glass sliding doors made me want to turn and run. In retrospect, I can see how desperate our friend was for a little company. For his sake, I'm so grateful my parents insisted that we make those visits a priority, but I'd be lying if I didn't admit that the thought of entering that building still makes me shudder. And after reading this book, I feel like my revulsion was totally understandable and justified. There aren't many worse places in the United States than a traditional nursing home. Being Mortal is about the way we view life and death. It is about recognizing and accepting when the end has come and living out our life to the fullest in the meantime. This is one of the most fascinating books I've read all year and one that I haven't been able to stop talking about (and chances are, if you know me in real life, I've already subjected you to a synopsis). Atul Gawande has been a surgeon for over fifteen years. This book was prompted in part because the more surgeries he performed, the more he realized that these operations often sacrificed quality of life in exchange for (possibly) more time, and that trade off didn't sit well with him. Doctors were avoiding the very types of discussions their patients needed most. In this modern age, science has come so far that doctors can keep people alive for a very long time, but it's not always the best solution. 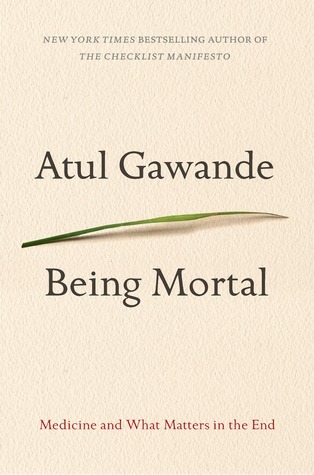 Death is a natural process, and Atul Gawande believes that as we become more comfortable with acknowledging and discussing it, we can live out our days more fully and conscientiously fill them with things that bring us joy. The first section of the book focuses on the elderly--an ever-growing percentage of our population. The average human being can now expect to live to nearly 80 years old. That's incredible. But this ability to live longer is not necessarily because we've slowed down the aging process (we really haven't) but reflects the choice we now have to keep patching ourselves up with medication and surgery. This is good. But at what point are those extra years more of a burden to yourself and your family? What sacrifices are worth it in order to gain a few extra months? Atul Gawande is in no way suggesting that once you're sick of life, you speed up the process of dying. What he's saying is, parents and children need to have very frank discussions about how they want to live out their final years. I can't think of a single person who would choose to spend their last days in a nursing home where they sit around in a wheelchair all day watching TV or playing bingo and don't get to decide anything about the food they eat or the schedule they keep or the medication they take. The second half of the book focused on individuals who are dying, not necessarily from old age, but from accident or disease. As you might expect, this was the harder of the two sections to listen to. Many of the stories that were shared involved people who were still in their prime with a family or a career or dreams that they were still very much involved in. One of the stories impacted me especially because of the similarities it shared with my sister-in-law, Alisa, who passed away earlier this year from melanoma. The woman in the story was in her 30's and pregnant with her first child when doctors discovered lung cancer. The cancer was much faster-growing and aggressive than Alisa's was originally. This woman ended up getting less than a year whereas Alisa was able to fight for eight years. But when the end finally came for both of them, their stories were strikingly similar because of one word: hope. These two women were willing to do anything (and I really do mean anything) for a few extra months or weeks or even days. When your life is being mercilessly ripped away from you too soon, even the smallest increment of time is precious. Alisa was in constant search of a cure, and every time she tried something new, she hoped it would be the magic she needed. In the book, Atul Gawande tells about another patient who was diagnosed with a terminal illness. "The news was devastating. But then he began looking at the graphs of the patients' survival curves. Gould was a naturalist and more inclined to notice the variation around the curve's middle point than the middle point itself. What the naturalist saw was remarkable variation. The patients were not clustered around the median survival but instead fanned out in both directions. Moreover, the curve was skewed to the right with a long tail, however slender, of patients who lived many years longer than the eight month median. This is where he found solace. He could imagine himself surviving far out along that long tail." It was that same long tail that tantalized Alisa. There's no way to know where you're going to fall on that curve. Doctors can't make that prediction and neither can their patients. In fact, one of the things I found so fascinating about this book was our inability to define what dying is. When confronted with the question, "Am I dying?," doctors are unable to answer it. They realize that technically they could keep people "alive" for a very long time, whether they're actually doing much living or not. I saw Alisa struggle with this question herself. Even when her condition took a serious downhill turn a few months before her death, no one realized (and/or accepted) that it was the end. She had bounced back so many times before. Surely it could happen again. But in March, she wrote, "Hospice was whispered around the room yesterday. The word is a whisper." That description has stayed with me ever since because it's so true. I think we all have a certain fear of hospice because we see it as a resignation to fate. There's a certain finality in that word. It sort of feels like giving up or giving in. 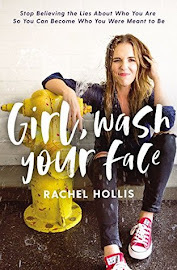 But I can honestly say that this book completely changed my opinion of hospice (and actually, it was already in the process of being changed when I saw glimpses of it during the final few days of Alisa's life). It is so much more than just helping patients not feel any pain. It's doing what many doctors are afraid to do: holding frank, honest discussions about goals and priorities so that patients can do the things that are most important to them for as long as possible. Atul Gawande said that there are so many positive results that come from these discussions that "if end-of-life discussions were an experimental drug, the FDA would approve it." In the book, Atul Gawande tells a really interesting story about a patient of his that he was operating on. I can't remember all the details (and I no longer have the book from the library), but I know that she had a type of cancer that was metastasizing rapidly. He had basically two options: a less invasive procedure that would bring her immediate relief or a much more dangerous surgery that could potentially do a lot of damage with the slight chance that she would see some longer-lasting results. She opted for the less invasive procedure because by that point, it was more important to her to be able to actually do some of the things she wanted to with her family rather than just have more time. Going back to the story I mentioned above about the man who hoped that he would be among those that would beat the odds and live longer than eight months, he got his wish. And because there are stories like his (and frankly, like Alisa's as well, who lived for three more years after they discovered twenty-five tumors in her brain), it makes hope a thing to hold onto for as long as possible. The thing that I found interesting about these end-of-life discussions, however, is that you don't wait until you know you're at the end before having them. You have them early on, while you're still relatively healthy. You talk to your doctor about your priorities. One of the patients Atul Gawande mentioned said that as long as he could watch football and eat, life would be worth living. These priorities would, of course, be different for every patient. But I think having such a discussion makes it easier for doctors to help guide their patients towards the best course of treatment because they know what things are not worth giving up in exchange for a few more months. 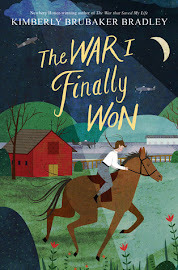 This review has gone on far too long, but, if anything, let the length be a witness to how much I loved this book. 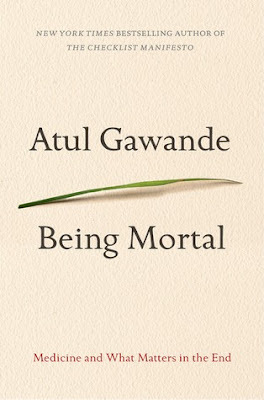 Atul Gawande is an excellent writer, and the subject matter is of course deeply personal to each of us because of the unavoidability of death. One of the stories in the book is about Gawande's own father, and I think this made the book even more meaningful because he wasn't just speaking as a doctor but also as a son. It will definitely be one of the books that will stay with me the most from my reading this year. Highly recommend. Have added the book to my library res. sounds fascinating. I hope you enjoy it! I think it's very applicable (and fascinating!) no matter your age, health, or current situation. Thanks for your kind words. We miss her so much. I also found this book powerful and resonating. My father had some dementia and he was so different from how I remembered him, but he was still happy. It made questions about end of life more shades of gray for me -- would I want to live like that? I don't think so, but maybe I'd be happy? 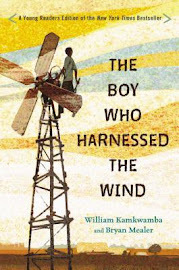 I found myself weeping openly many times when reading this book. It was telling to me that even as a team of 3 accomplished doctors themselves (Gawande, his father and mother), they felt lost when trying to understand his physicians during their consults and make decisions for treatment plans. What a technically complicated and morally nuanced dance this is-- achieving dignity in death. I wanted to give a swift kick in the pants to the oncologist that told him if Gawande's father started her drug regimen he'd be back on the tennis courts-- a hollow promise that she knew from the outset! I read this book a couple years ago with a book club. It was an excellent discussion! I read this book earlier this year. As an oncology nurse, I found it extremely inspiring and I have already been able to put it in practice. I've been telling all of my medical professional friends about it. And I don't feel as afraid to deal with my parents' aging process anymore, either.